There is nothing that relaxes me more after a stressful day than a soothing aromatherapy massage. Ask your spouse to give you a massage using homemade massage oil or book yourself a session with a massage therapist, it’s so relaxing and a wonderful bonding experience. Whether you are new to aromatherapy massage or already love it, here is a fun look at the history behind it, the benefits, and some tips. An important note to those struggling with fibromyalgia or similar autoimmune disorders: massage, like a supplement or a drug, will likely not cure your illness; it only provides symptomatic relief. I recommend that you find a good functional medicine doctor or practitioner to help investigate the cause of your disorder. In the meantime, massage does provide excellent symptomatic relief. Now combine the above evidence-based benefits of massage with aromatherapy, and you have a powerful tool both for managing pain and depression. Before diving into the specific benefits, here’s a little background for the curious-minded on the roots of aromatherapy. While the actual usage of the word aromatherapy wasn’t used till recently, usage of aromatic herbs and spices to the same effect date back to ancient times. The Egyptian and Mesopotamian cultures using smelling salts and herbs to revive patients and to drive away depression. Other important historic references include a mention made in the Bible of the penitent Mary Magdalene anointing the feet of her Lord Jesus with a jar of costly spikenard. Aromatherapy really took off with several discoveries in the 1900s notably the French chemist Gattefosse. Gattefosse became fascinated by the benefits of aromatherapy after discovering that he could use lavender oil as part of a healing treatment for a chemical burn. He was the first person known to use the term aromatherapy in his book ‘Aromathérapie: Les Huiles Essentielles, Hormones Végétales’. Now, enough about the history, here’s a quick overview of the science-based benefits of aromatherapy. Now that we have a brief overview of the history and benefits of both massage and aromatherapy, here’s a brief overview of their uses and applications. Dilute 10-12 drops of your favorite essential oil or an essential oil blend into one ounce of a carrier oil (carrier oil options particular to your needs will be discussed below). DO NOT use undiluted essential oil directly on the skin. Some oils, like peppermint essential oil, will create dry, cracked skin and potentially even burn it. Be careful, not all oils are made equal! Here are some important factors to look for. This is a no-brainer but still worth mentioning. Because essential oil is so concentrated, any pesticides or herbicides used will also be concentrated, so pick organic or grown without pesticides or wild-harvested. If it is too good to be true, it probably is. Several hundred pounds of a plant is required to produce even a small quantity of essential oil. One pound of lavender oil, for example, requires 250 pounds of lavender plant. This is only the low end of the scale. More expensive oils like rose oil require 4000 pounds of rose petals just to produce one pound of oil. While you don’t need to choose the most expensive essential oil out there, be careful and don’t let yourself succumb to the cheap knockoff brands. Make sure to look for a descriptive and accurate label that includes the country of origin and safety recommendations. Have a question about their essential oils? Call and ask. Reputable companies won’t mind answering your questions and should be open about where their oils come from and the extraction process. Now that the history, use, and basics of essential oils have been covered, here comes the fun part: the best essential oils for massage! Peppermint essential oil is loved both for its physically cooling sensation upon application and its mental health benefits. One study found that peppermint, along with eucalyptus and ethanol oils, reduced muscle tension and lead to enhanced cognitive abilities. (18) Peppermint’s most common use is as a cold compress to help relieve migraine symptoms, but it also makes a beautiful addition to a carrier oil to provide overall muscle tension relief. And what may be the best benefit of all is the lingering aroma peppermint leaves on the body. (19) A good peppermint massage will make you smell like a Christmas candy cane, without the sugar. Angelica essential oil, nicknamed traditionally ‘the oil of the angels’, has numerous benefits, most of which are correlated with mental health. One study found that angelica essential oil may have modest anti-anxiety properties. (20) Angelica oil may also help to combat insomnia and alleviate fatigue. (21) It also is an excellent antibacterial. (22) You can use angelica alone in carrier oil or you can create a powerful custom relaxation blend. Angelica and lavender are two of the most common combinations for promoting sleep and relaxation, but feel free to experiment. Geranium essential oil is derived from the beautiful perennial geranium shrub. While geraniums were originally derived from South Africa, they are now a popular addition to flower gardens and medicinal herb gardens all over the US and other countries. Geranium oil is traditionally used to alleviate overall fatigue and convalescence, as well as in the treatment of bruises, burns, and sores. A good carrier oil is almost just as important as the essential oil you add to it! Here are the top five carrier oils to get you started. In other words, coconut oil has powerful antibacterial properties, as well as being a powerful moisturizer. 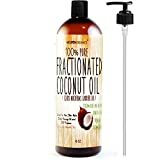 I recommend fractionated coconut oil for massage purposes instead of the typical virgin coconut oil you would buy for cooking. Fractionated coconut oil gives the same moisturizing benefits without leaving that greasy feeling behind. It also stays liquid at room temperature, unlike regular coconut oil which is solid at room temperature. Coconut oil is best for dry skin as it’s very moisturizing. Jojoba oil is the queen of carrier oils when it comes to nutritional benefits for skin and hair. Besides possessing antibacterial properties, jojoba oil is packed with Vitamin E (vitally important for skin and hair health )and vitamin B complex. Jojoba oil is a great hypoallergenic choice for those who struggle with sensitive skin. If you have oily skin, jojoba is the best bet because of its lightweight structure and sebum-dissolving ability. The smell of this pure, cold-pressed almond oil is therapeutic in and of itself. Aside from its heavenly smell, almond oil is a good source of Vitamin E and Vitamin D, essential for aiding hair growth and mitigating hair loss. 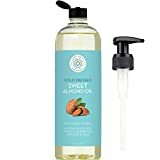 (26) Besides its soothing benefits as a massage oil, almond oil can also be used as hair conditioner or as a gentle, hypoallergenic substitute for lotion. Apricot Kernel Seed Oil is loaded with essential fatty acids, vitamins, and antioxidants. Antioxidants play an important role in skin health. Besides its antioxidant properties, apricot kernel oil may play a role in the treatment of psoriasis. (28, 29) The best way to describe the texture of this oil would be a little oily but soft and absorbing, while its aroma is almost neutral with sweet, subtle undertones. While this therapy is generally a fair safe, non-invasive, and gentle treatment for stress, there are a still a few things to watch out for. Some oils may not be safe during pregnancy, so be sure to consult with a doctor or practitioner to be safe. Do not use oils on babies without the supervision of a practitioner and ALWAYS make sure that the essential oil is diluted in carrier oil so that it does not burn the baby’s skin. Keep the oils out of sunlight. Before having a massage using new oils, apply a small bit of the massage oil to your wrist or forearm and wait a few minutes to make sure you have no allergic reaction. 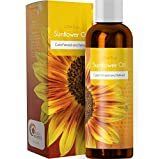 The best essential oil or essential oil blend and the best carrier oil will depend on your unique needs and health conditions. That being said, of all the above oils mentioned, lavender has the most research behind it and is the star of the essential oil show; powerful both for its mental health benefits, wound and burn healing abilities, and its antibacterial properties. As far as carrier oils go, jojoba oil is one of the most hypoallergenic oil and is suitable for a wide variety of skin types, with antioxidants to protect and heal. Experiment with your blends and have fun!